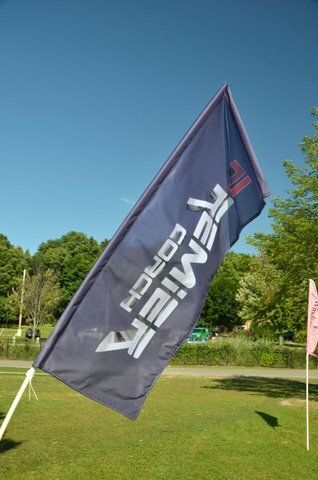 Put your company, organization, or team name and logo on a colorful festival banner to be seen by thousands of festival participants and spectators. It’s an inexpensive way to add your presence to the festival site! Companies find banners an easy way to support this community event and get valuable brand recognition. Teams and organizations can benefit by having their name emblazoned on a banner to show support, pride, and spirit. All Banners measure 60” long by 20” wide and read on one side only. Banner costs are $400 for a new banner and $250 for displaying a banner purchased for a previous Lake Champlain Dragon Boat Festival. The deadline for ordering your banner is July 5, 2019. Complete the order form below, attach your logo, and make your online payment—and you’re done! Your form will go directly to our banner supplier, Banner Arts Vermont, and we’ll be in touch with you to confirm everything is in process. Attach your logo vector art format (.ai and .eps) are preferred, but a high resolution .jpeg or .tif is acceptable.